Last Friday, we had another picnic on the oval. It was a hot, early summer night. We sat on grass, yes, real green grass, under some big oak trees. School was finally over. So was soccer and little league. It felt like a perfect time to celebrate. Our friend said he would bring some wines so we we brought the food. I wanted to bring something that would be easy to eat and go well with the wines. I decided on rotisserie chicken and a selection of cheeses. My brother made roasted potato salad with sugar snap peas and our other friend brought a tortellini dish. 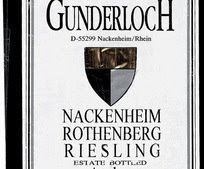 Now to the wine.....we started with a Gunderloch 2004 Nackenheim Roth enberg Riesling Spätlese, followed by Batard-Montrachet Grand Cru 2003 Henri Boillot. Next we had Chateau Montelana Cabernet Sauvignon Napa Valley 1997 and finally a Charmes Chambertin Grand Cru 1997 Domaine Dujac. 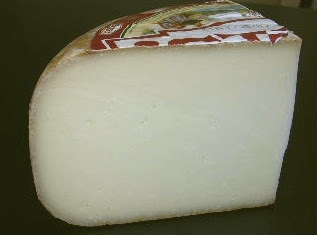 For cheese we had Istara ( in the photo), a sheeps milk cheese from the Pyrenees in France’s Basque region, Bucheron, a partially dry goat’s milk cheese from the Loire Valley; Le Chevrot, an aged French goat cheese from the Charentes-Poitou region. 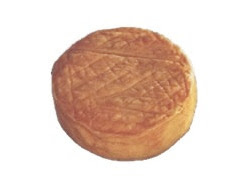 I made sure there was something for the Burgundy, so I brought a perfectly ripened Epoisse de Bourgogne. This well-known, yet somewhat smelly cheese is made from cow's milk and washed in Marc de Bourgogne, a local alcohol, which gives it an orange color on the outside. The inside is a creamy, pungent cheese that spreads easily onto baguettes. For desert (not that we needed it) , I got some big cookies from the Green Bakery – chocolate chip, chocolate chocolate chip and coconut. It was a pefect way to end the picnic and a great start to beginning of summer. A good time was had by all. 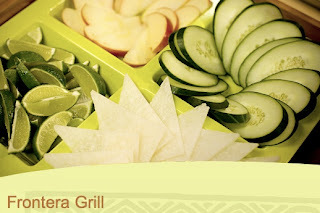 I meant to write about The Frontera Grill a while ago but never got around to it. Last year when I was in Chicago, I decided to try it for lunch. I liked it so much I went back the next day. Frontera is owned by chef and cookbook author Rick Bayless and is next door to his high-end restaurant Topolobampo. I remember I had great guacamole, cerviche, queso fundido clasico and huevos rancheros verdes. This is definitely worth a try or two. 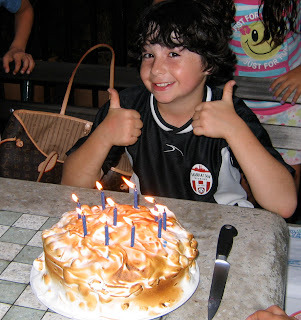 My brother baked my son a s’mores cake yesterday for his 10th birthday. 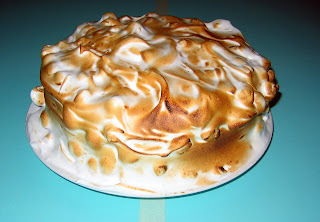 It was a chocolate graham cracker cake with chocolate ganache filling and marshmallow frosting. My son helped him “toast” the marshmallows. As you can see from the photo, it was a big success! Happy birthday! 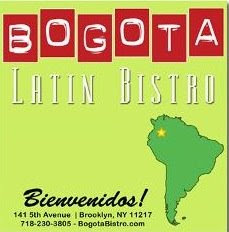 We went to Bogota Latin Bistro in Brooklyn last Sunday for Father’s Day. 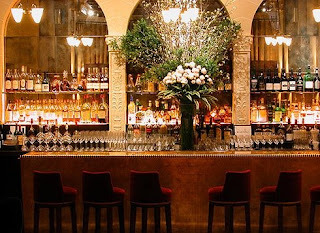 Located in Park Slope on 5th Avenue, its well worth a visit. Last week I was lucky enough to have been invited to a luncheon at Daniel, the New York restaurant of award-winning chef Daniel Boulud. The lunch started with a few glasses of Champagne Paul Goerg 1er Cru, blank de Blancs, vintage 2002. The menu followed with pea soup “A La Française” <romaine Lettuce, crispy shallots, savory cream> paired with Meursault-Perrieres, Domaine Drouhin, Burgundy 2003. This soup had bright green peas with a little crisp; not the mushy, dull green ones you’re thinking of. Next, we had roasted black sea bass < potato crisp, melted leeks, syrah sauce > paired with Volnay, Domaine Drouhin, Burgundy 2003. Finally, chef Boulud’s team prepared bittersweet chocolate-praliné cremeux <amer cocoa biscuit, dark chocolate crème glacé> for dessert. Just in case that wasn't enough, we had chocolates, madeleines and petits fours with espresso. Not bad for a Friday lunch.